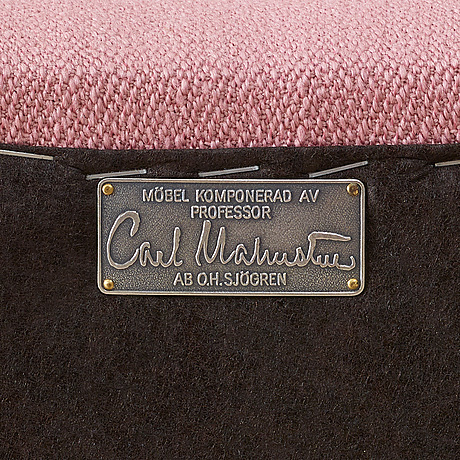 The sofa Samsas was designed by Carl Malmsten in 1960 and the model is a remodeled of the original "Konsert" model that Carl Malmsten designed for Stockholm Concert Hall in 1923. 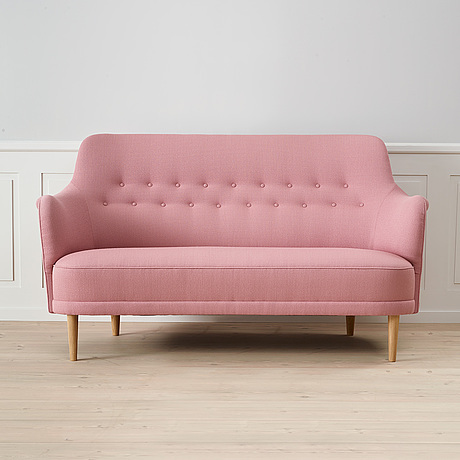 This three seater sofa is in a beautiful light pink fabric designed by Fanny Arosen and produced by Kvardat. 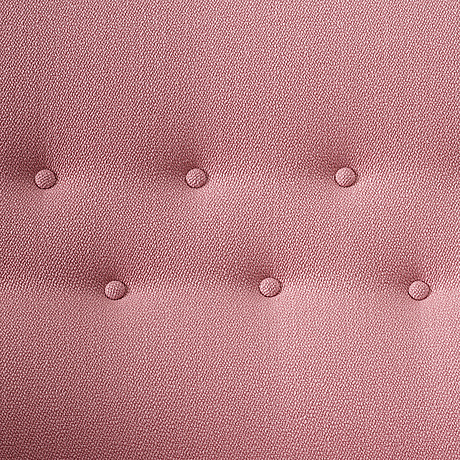 The fabric contains of 94% New Wool and 6% Nylon. 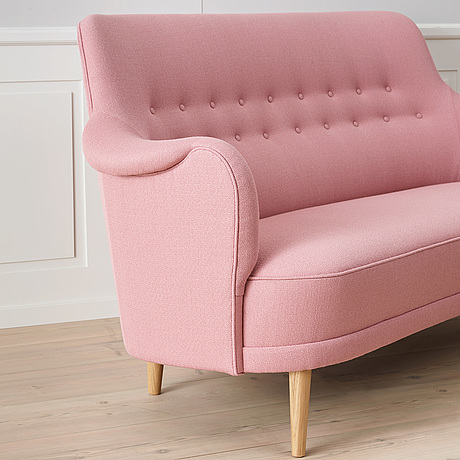 The couch has a wooden frame made of solid Swedish pine. The elastic consists of nozag springs with and legs in solid oak. The couch is manufactured in 2017/18 by OH. Sjögren in Tranås, Sweden.